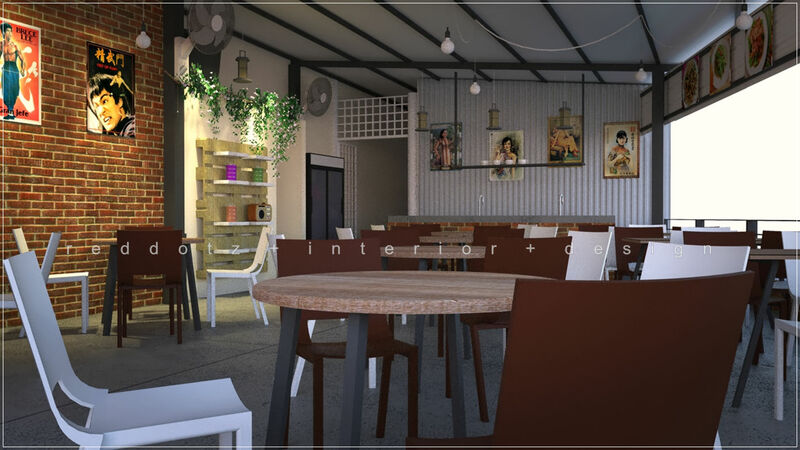 Cost effective yet nice design scheme for Chinese Kopitiam Restaurant at Serdang, Selangor. A natural earth theme being applied to the catering area. A varieties of shanghai artist posters hanging along the brick and zinc panel walls highlighted with artificial lighting has create a visual impacts to the restaurant environment.